Valentine’s shopping for a new dad is a whole different ball game than shopping for a boyfriend! 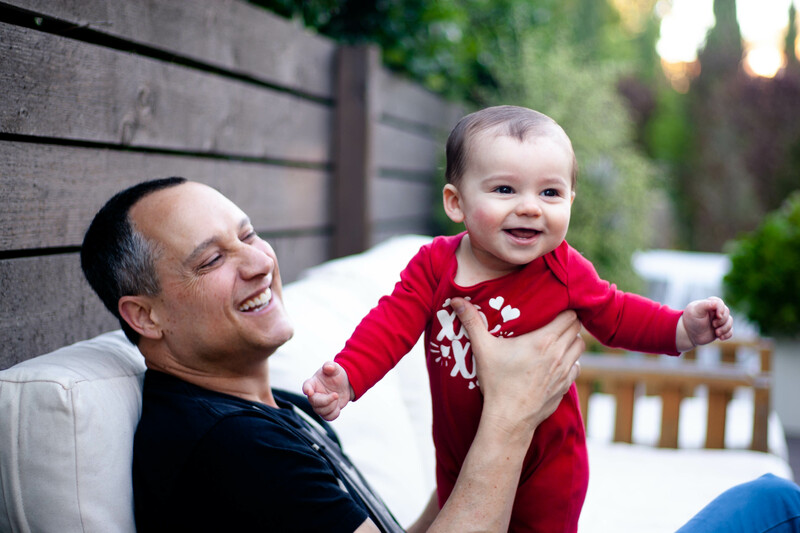 Dads have a completely different set of needs and priorities, and after long days of working and/or caring for you and a little one, what a new dad wants more than anything is to be taken care of! This Valentine’s Day make him feel appreciated and special with one of the ideas from this gift guide I’ve put together. There’s something for everyone, whether the new dad in your life is an athlete who misses the gym, a workaholic who needs to destress, or a connoisseur of fine spirits. Something on this list of Valentine’s Day gifts for new dads is sure to give him a very happy Valentine’s Day! Mamas aren’t the only ones who love to be pampered! This vegan, cruelty-free formula is perfect for quick topical pain relief or a moisturizing refresher. We love the Lord Jones signature fragrance, but this lotion is also available fragrance-free. There’s a cooling sensation the second it touches your skin and Lord Jones is well-known for their careful lab testing that keeps the formula consistent from batch to batch. Most importantly, this lotion is free from synthetic dyes, formaldehyde, and other undesirable ingredients you’d find in their competitors’ formulas. Get yours from Sephora below! When you’re working around a baby’s schedule, a full-on date night is not always in the cards. Between the many sicknesses rolling around this time of year, two work schedules, and teething, not only do we not always have the time to get dolled up and go out, we don’t always have the motivation! But it’s so important to make one-on-one time together a priority, so a fun night in is just what the doctor ordered. 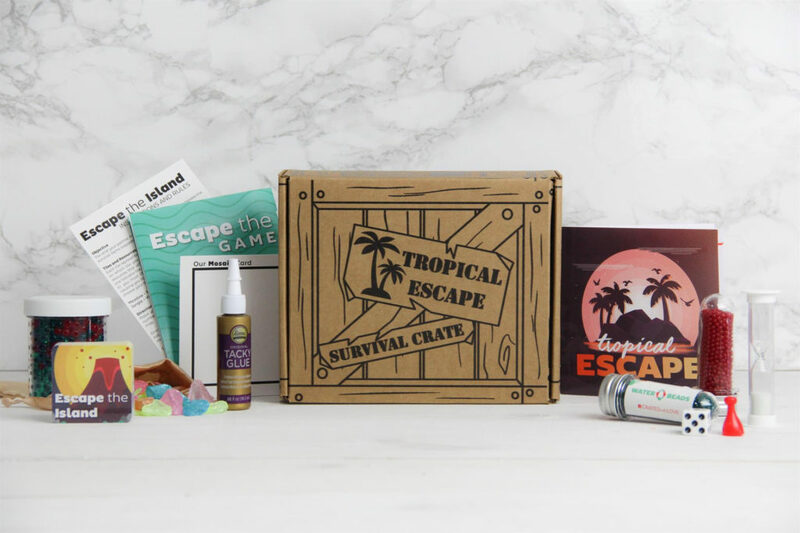 With date night boxes, we can stay in our PJs and have a blast without the stress of getting out the door. It’s such a plus that we can fit our quality time in around Asher’s sleepless nights…if he has a rough evening we just save our box for a more convenient time and we don’t have to cancel a reservation or make alternate arrangements with a sitter. Your monthly box includes 4 or 5 date night activities and all the items to make it happen. It’s budget friendly, too! If you’re watching your bank account you can opt for the more cost-efficient digital subscription for weekly games and challenges. Valentine’s Day is all about reconnecting, and these boxes help couples get vital time in together. Dads who love fine spirits will be super excited to try new tastes from the many distillers and manufacturers who partner with Shots Box. The options are diverse and carefully selected, making it easy to experience different brands and try out some fresh cocktail recipes (check out the Shots Box website for some of those!) A monthly subscription will keep him happy long past Valentine’s Day. Want to try something truly unique? 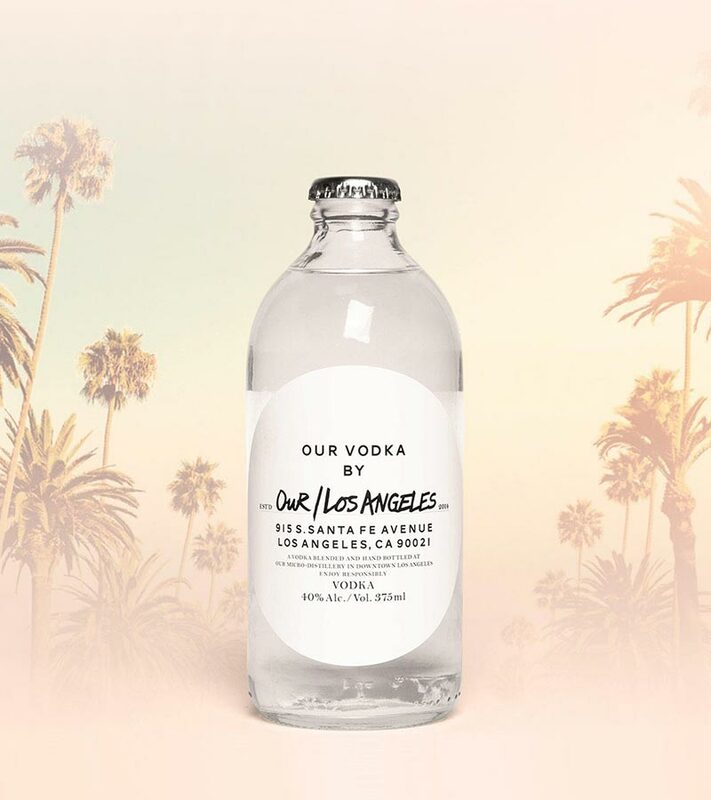 Our/Los Angeles uses locally-sourced ingredients and smaller bottles to produce this smooth, fruity vodka that’s great for private parties. Not that it will matter much to my husband, but I’m in love with the bottle design and labeling, and it’s a nice touch that they hand bottle their recipe right in Los Angeles. It’s not just a refreshing and delicious gift for the new dad in your family, it’s a great conversation piece too! The way to a man’s heart is through his stomach, but if he’s trying to avoid the dreaded “dad bod” a guilt-free treat may be the way to go. With only one gram of sugar and barely any net carbs, Nui cookies are the perfect choice for keto dads! They use non-GMO almond and coconut flours to up the protein without upping the carb count, and they taste more like a guilty pleasure than a keto compromise. There are so many flavors it’s impossible to get bored. Chocolate chip is always a favorite if the new dad in your life has traditional tastes, but the limited edition ginger flavor is great for spicing things up. We mostly think about new mothers when we talk about the stresses of early parenthood, but dads have a lot of new responsibilities too! We rely on them for support as our bodies and lives undergo a huge overhaul. Say thank you to your guy this Valentine’s season with a unique destresser that he can take with him anywhere. BoomBoom inhalers and roll-ons are all-natural and plant-based essential oil blends that work immediately to increase focus, boost immunity, and aid relaxation. Find the formula for his needs (or try them all!) to give him a mini vacation that he can keep in his pocket. Okay, stay with me here because this are not ordinary socks. Whether the new dad you’re buying for spends his days snowboarding or needs dress socks for his corporate 9 to 5, Bombas has him (and you) covered. And these really are the most unbelievably comfortable socks. The moisture wicking properties of Merino wool keep itching at bay and the specially designed blister tabs and Bombas Performance Footbed give a busy man the support and comfort he never even realized he needed without adding bulk that can affect the fit of his shoes. Even better, for every pair of Bombas you purchase a pair will be donated to a homeless shelter. Did you know that socks are the most needed clothing item in the homeless community? I had no idea until I started buying Bombas, and it’s nice to know I can keep my husband and someone in need warm and comfortable with one easy purchase! It goes without saying that most dads could use some extra sleep. But it’s not just quantity of sleep dads tend to miss out on, it’s also quality. Especially with smartphones, TVs, and computers everywhere you look, it can be hard for them to quiet their thoughts when it’s time to settle down for the evening. ZERO BLUE™ light can be a big help for this problem. Soraa Healthy™ light is different because it limits the blue wavelengths in natural white light, which can alter your body’s ability to produce melatonin and interfere with quality sleep. They are dimmable and buzz-free, and work great in any room where you spend a lot of your evening hours. Good sleep means better focus and increased creativity during waking hours. He’ll feel so much better when he’s rested, and you’ll benefit too! To really double down on getting your partner the sleep he deserves, make sure to pick up a set of these sheets. Celliant mineral-infused yarn will regulate his body heat and blood flow safely and comfortably while he sleeps. This is another great gift for active and athletic dads, as the Celliant yarns speed physical recovery and increase stamina. The sheets look as great as they feel, with wrinkle-resistant fabric and an extra soft finish. I love that they’re machine washable and dryer safe, and the Celliant lasts the life of the sheets for night after night of wellness benefits! Maybe it’s a little unorthodox, but SwampButt Underwear is actually a very considerate gift for any guy, not just dads! These are good for everyday wear or a rigorous workout. He’ll stay dry and comfortable, which will help him stay odor-free. Who wouldn’t love to walk around with that kind of confidence? Their performance line is especially good for long workouts, with a wider leg opening for comfort and ease of movement. They’re long lasting too, and made in the U.S.A! There you have it! You can take care of your favorite new dad head to toe (and everywhere in between, thanks to SwampButt Underwear!) this Valentine’s Day. Go on and share the love! I can’t wait to see all of the pictures of everyone’s special day, so don’t forget to include @stuartbrazell in your Instagram posts if you buy one of these great products! You might also enjoy 5 Sunday Prep Tips to Make Your Week a Success! That CBD Lotion is LIFE! I use it for foot pain in high heels!